My response to Dan’s post was, “I miss us, too!” I feel increasingly like this. I love and thoroughly enjoy my kids as young adults, but there are times when I quite piercingly miss my little ones. Laughing at the memory of an old prank or a formerly mispronounced word can bring tears to my eyes. Looking at old pictures can be downright disastrous. I have a slew of old photos and other memorabilia that sorely needs sorting, organizing, putting in scrapbooks, perhaps, and I’ve been very busily putting it off. Yes, I miss us! I miss melting tinsel strands on the big, old style Christmas tree lights with my sister Kathy. I miss watching our daddy put on each article of clothing he received, so that he grew fatter and fatter as the gift opening progressed. I miss the orange in the toe of my red stocking, and the popcorn ball in the heel. I miss the ribbon candy, and the trays of dried fruit someone or other sent us each year. I miss my mommy and my daddy, and the constant togetherness I once took so completely for granted. Yes, I miss us! I double miss us! And I find myself longing for a time and a place where my mother will get to hear my daughter sing, where my children can laugh at my daddy’s dry humor, where the joy and wonder of my childhood and my children’s childhood will somehow be all there together. CS Lewis once wrote, “If I find in myself a desire which no experience in this world can satisfy, the most probable explanation is that I was made for another world.” This is definitely such a desire. An impossible desire – ridiculous and unreasonable, by normal earthly standards. But that’s my desire. An out-of-this-world desire that can only be satisfied outside of this world. And it’s appropriate, I guess, that this desire is strongest at Christmas time. We are remembering the birth of an out-of-this-world Child. He once said, “I go to prepare a place for you.” Ah, such a place it must be! Where time is no more. But now, for a while, I miss us. Oh, how I miss us! Hope. One syllable. 4 letters. It seems like as I grow older I see sorrow all around me. Let’s face it. This world is filled with broken people. Parents see their children walking headlong away from God. Their shoulders sag with the weight of it all. A wife loses her husband in what was supposed to be the happy, relaxed retirement years. She is lonely, sad and overwhelmed.
. I wish I could grab handfuls of hope and give them out – like bouquets from an endless meadow. Or pass around blankets of hope for people to wrap themselves in so they could be warmed and comforted. But hope isn’t something you can hold in your hand. You hold it in your heart. And it is not something that warms your body; it warms your spirit and keeps you alive. Hope helps you breathe. It helps you get through the day, through all the days. And the place to find HOPE is in the word of God. CS Lewis says it wonderfully. ” Most people, if they had really learned to look into their own hearts, would know that they do want, and want acutely, something that cannot be had in this world. There are all sorts of things in this world that offer to give it to you, but they never quite keep their promise. “At present we are on the outside… the wrong side of the door. We discern the freshness and purity of morning, but they do not make us fresh and pure. So if you are looking for true hope that sustains, supports, keeps, encourages and is forward looking, open those ‘leaves’ of the New Testament and find the breaths, whispers, and shouts of hope. This God breathed book beckons to all who are weary and heavy laden. And it shouts, Yes, God is real! Come, know Him and let Him show you a hope-filled present and a glorious future. 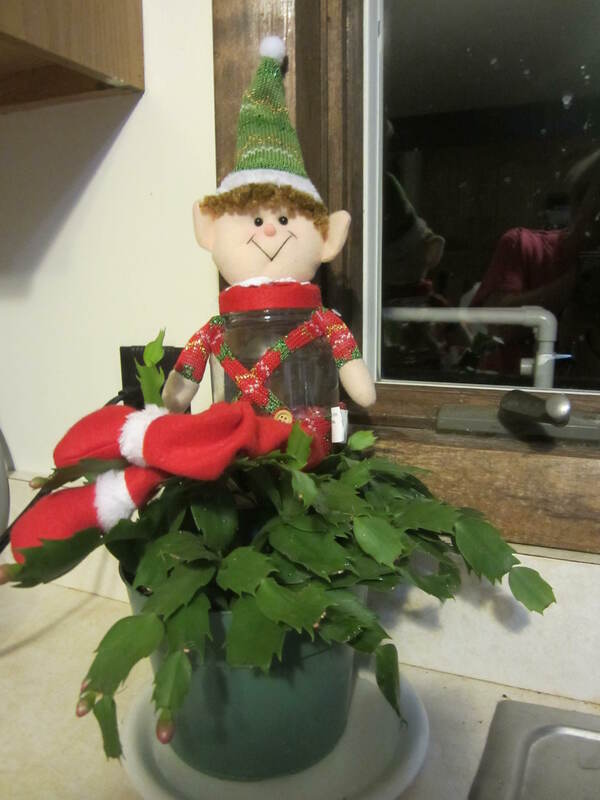 There is a woodsboonie on my kitchen counter, sitting saucily atop the Christmas cactus. Grandfather has given me the heads’ up about woodsboonies. He was well acquainted with them when he was a boy. So when I saw one here in our kitchen I knew what we were up against. Here is what Gramps told me about the dreaded rapscallions. “When I was a boy the woodsboonies were characters I played with. To tell the truth, I never saw one, except in my mind. In my imagination they looked like cute, little, funny Irish elves. You’ve seen them working in Santa’s workshop. But I never got anything from them for Christmas; they only brought trouble. 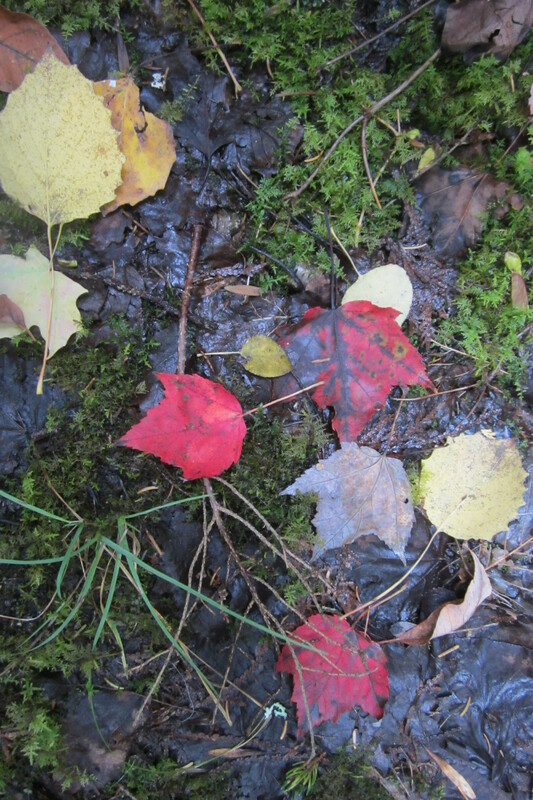 If I got caught using Dad’s tools or if I spilled paint, it was the woodsboonies who did it. Unfortunately, they never got my punishment.